I was flipping a Japanese Magazine I got from my Tokyo trip and I came across designer Takahiro Miyashita’s The Soloist. 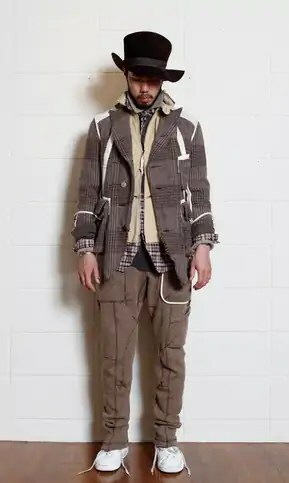 You might not be familiar with the designer’s new brand, but you might have heard of his previous label named Number (N)ine, known for creating avant grade menswear designs mainly inspired by rock and roll. His new label, The Soloist, however has a quieter feel to it, apparently clothes that the designer created for himself. 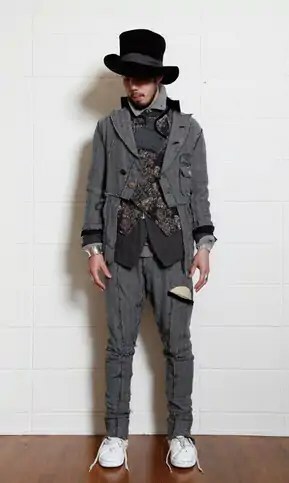 Here’s a visual of the designer Takahiro Miyashita, so you get an idea of what to expect for his designs. 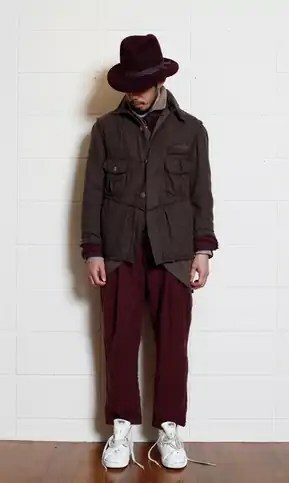 His Fall Winter 2011 collection, the third collection under the label The Soloist, was the collection that caught my eye. 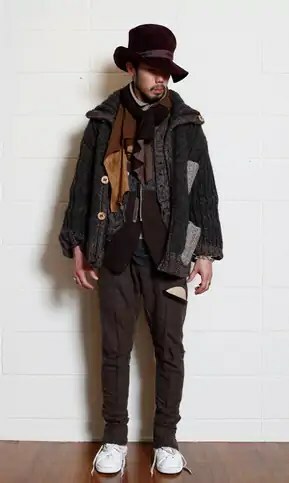 There were a lot of layering and use of different fabrics in every outfit. It’s almost as if the collections had so much to say and it’s all wrapped up in the collection of fabrics. Contrast trims and panelling, asymmetrical pocket details. Love it. The whole look is kind of odd, yet somehow, it still looks right. I don’t know about you, but I totally dig the untied laces. It makes the entire outfit look incomplete and makes me wonder is there anything else that isn’t done yet, or something you can add to the outfit to complete the look. I know there has been an influx of Japanese designer labels in our write ups recently but I can’t help it. Their collections are so polished and I think they really deserve more recognition than what they currently have. So, just a warning: I will be finding out and writing more about Japanese designers.